will we see more like this in 2013? Sorry - I cant add the usual links to other blogs ate as usual as for some reason at this moment in time I cant access my Google Reader account. There are plenty sat there waiting to be shared so hopefully I will regain access tomorrow and post them then! Can't disagree with most of your predictions, except one. I predict FDC will be sold as a whole company to Stagecoach, with consequent fleet investment. If I were First I would hang on in there in Ivybridge...from what I see their 88 is more popular than Citybus offering. First in the main need to do one of 2 things this year either Rejig their network like in Southampton etc with more cross city routes or sell up. Personally I think it will be the first option as I don't see any interest from the likes of Stagecoach!!! I disagree re Jacketts 85, I think it will be gone by the summer and First won't have to do much at all.. It was a nice idea but really for commuters £5 daily fare say 5 days a week £25 for 2 hourly service or £26 for First Week ticket, 15 minute service.. not difficult choice. Likewise shoppers extra £1 fare to First for vastly superior frequency!! Can't see Jacketts service working out! The Jacketts service is interesting. For commuters - if there is a suitable bus at the time they need it then 2 hour frequency is not such an issue. I am sure Jacketts could easily introduce a weekly ticket at a competitive price if their passengers ask for it. I thought that it had been stated that the First P&R Enviro 400s were going to Manchester and being replaced by new ones, hence the current retention of Shuttle names? I predict new ones will have more appropriate branding, perhaps even being in a different colour version of the new livery (as has heppened elsewhere). I predict that First Hampshire & Dorset puts new buses onto the X53 and transfers the current X53 Volvo deckers to Plymouth for use on the X80. Anon 08:16 - First won't "rejig their network". It's hardly a comprehensive city-wide network anyway - Citybus provides that. A Southampton style rejig would therefore mean competition with Citybus and they've just tried that with Ugobus. It won't happen again. First definitely need to put newer vehicles on the X80, some of the existing vehicles are really poor both mechanically and bodywise. A journey of nearly two hours needs comfortable seats not the current lumps of plywood. If I were First I would look to bring back the old no.7 Woolwell to Plymstock cross city route...this would beef up their presence along the nortern corridor with the 15 etc. They could then remove the 84/86 from Woolwell speeding up journey time in face of competition from Jacketts and taking out the unpopular diversion!!! I agree - the Student Link B10Ms really are on their last legs. I'm sure it won't be long before they leave us. I also hope we finally get rid of the N-reg SLFs; while there are some good ones (9 and 12), most of them are utter cr*p and have also outstayed their welcome. The swoops livery I'm sure will remain; with perhaps one or two *minor* tweaks. My guess is also that the new DDs will have replaced an order for ten B7RLEs. I'm sure the eight secondhand/nearly new DDs will see off all six Student Link B10Ms plus the two H-reg ones mainly used on the MX1 (177/178) but do appear on the likes of the 112/120 from time to time. I also predict at least one new route launched this year, with quite a fanfare, similar to the 45 launch. Speaking of which, I'm sure this service will remain as it is - I can't see any cutbacks, but then again I can't see any frequency increases. 'I’d rather post better less often than go for daily posts when there is nothing to say!' - completely agree with this! 178 was on the 28 this evening! They must've been short of B7s then as two 27/28 duties are now down as a B7 DD. In November I quite often saw 177/178 on the 1715 from town 21A - gutted I never caught one myself! Would love a trip on 177/8 though - one day I might be lucky! I had 177 & 178 on the 17? 21B, although the driver on both occasions wasn't impressed someone wanted to get on, bearing in mind there was a 21 and two 21A's already on stand! They make for an interesting ride, well kept and quite comfy. 184 was on the 117 today. That"s un-heard of! I know exactly the driver youre on about - my opinions on him have been made very clear here before! Put simply, he's not one of my favourite people, and I'm not one of his. Only thing I disagree with it Western Greyhound and a new livery as they only introduced a new one not long ago because of new buses comming into the fleet! Otherwise I totally agree shame First will keep the train network really cause other companies would invest heavily in are rail network then! I am sure I have seen something from WG that suggested a refresh at least of the livery was on the cards but I cant see anything to back that up at the moment. May well be wrong! As for the rail franchise, its all pretty much decided by government as to what investment will be required rather than the railco itself. First would have to provide whatever the franchise agreement dictates, as indeed would any other railco. Sadly it is all too clear that the government sees the westcountry rail links as very low priority at the moment. The previous government were equally unconcerned so this isn't just a dig at the current lot! 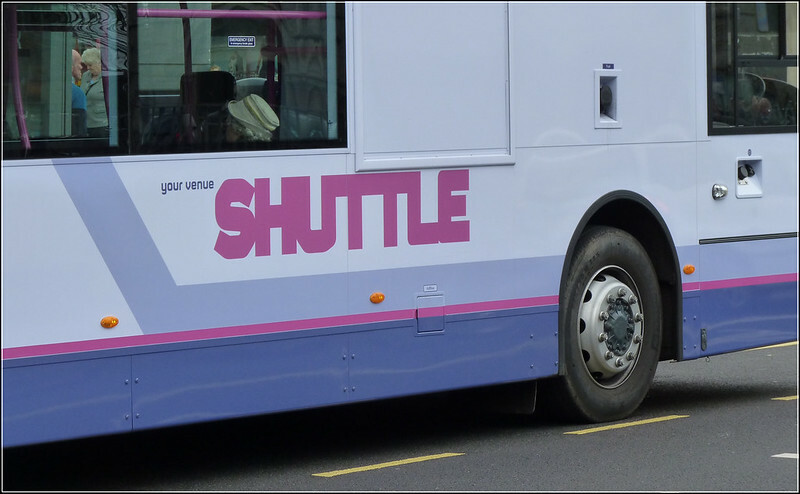 Mark Howarth himself said on this very blog site that the WG image is shortly to be 'refreshed' in response to comments that the paintwork was getting scruffy on some buses. ha! I knew I had seen it somewhere - didnt think to search on my own blog! as far as i am aware we are still getting the 20 remaining b7 single decks as well as the new deckers? I may b wrong? maybe brian could comment? I've heard that we'll be getting ten B7RLEs each year until everything from 1-27 is withdrawn. The ten (I think?) new DDs could see all the N-reg SLFs off depending on how they re-allocate the vehicles following their introduction, the eight secondhand deckers will probably see off 177/178 & 181/2/4/5/6/7. Suppose we'll just have to wait and see what turns up! The original plan was indeed for 10 new SDs for three years so 10 more were due this year. Plans can and do change! Lets hope that we do see all the new buses - I think we deserve them! I understand the X53 is due to be retendered in May 2013 by Devon CC. A BUS service to Plymouth has seen a 50 per cent increase in passengers since its launch in September. The Citybus 45 service from Ivybridge to Plymouth saw weekly passenger numbers rocket from 2,378 to 3,623 between September and December, with bus bosses calling the figures ‘incredibly impressive for a new service’. 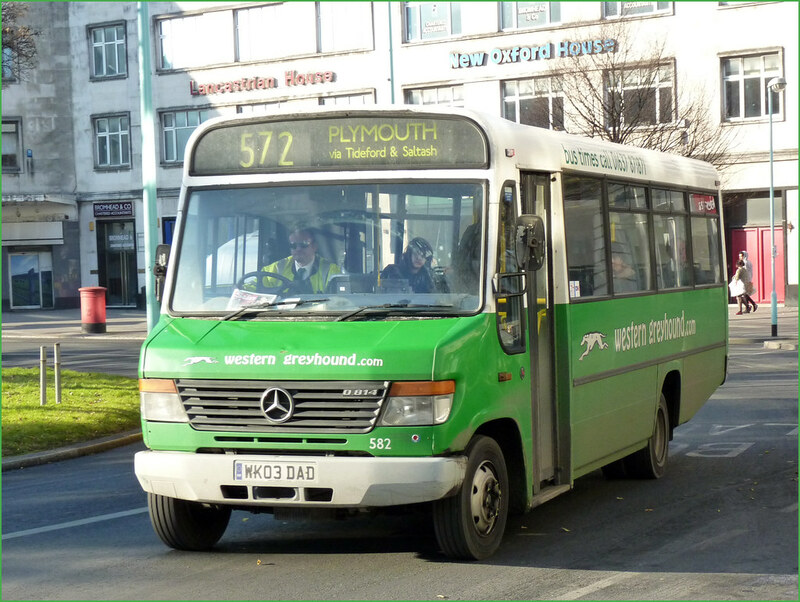 The half-hourly provision runs every day from Ivybridge station to Royal Parade in Plymouth and has proved hugely popular with travellers and Citybus alike. 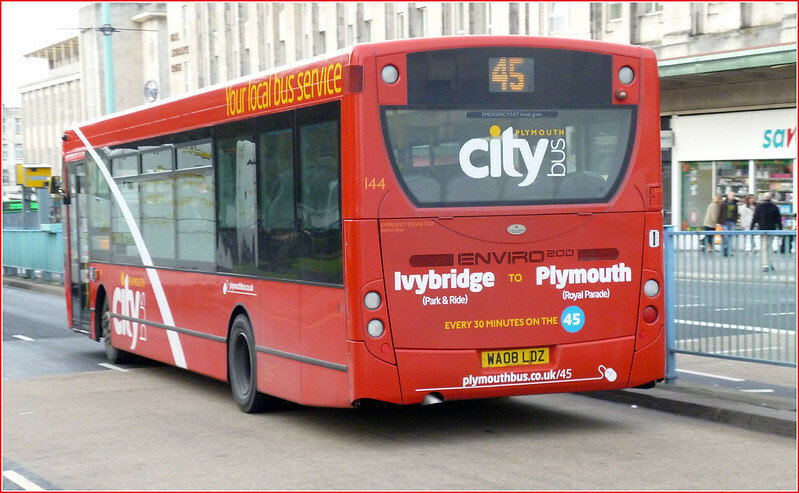 Marketing co-ordinator for Plymouth Citybus, Hayleigh Beck, said: ‘Since launch, we have seen an increase of over 1,000 passengers which is incredibly impressive for a new service. We are continuing to see a definite increase on passenger numbers every week and are pleased the service is proving so popular. All content © of South Hams Newspapers Ltd unless stated otherwise. When are the eight Enviros due George and when are the 'new' Presidents to enter service? I believe the new Enviro 400s are to arrive in April - yesterday I overheard a conversation between two drivers talking about their duties etc and they're due on a 23/24 at around 4pm and take it through on the 8/9 & 23/24s until the end of thee day, they then discussed what duties they were on next week and said 'then it's April they all change again/a big change is coming' - I'm assuming this could be when the new Enviro 400s are doing. How is the 43a doing? The 43As B7RLEs were put on the 40/41. Three T/X/Y/51-plate SPDs from the 40/41 were placed onto the 50. Three 52-plate SPDs were placed alongside existing 52/03 plate SPDs on the 61/62. Three 03-plate SPDs from the 61/62s were placed onto the 43A/B, along with a few 54-plate SLFs; I caught the 1140 43B to Milehouse yesterday, was board number 301, vehicle type 'SLF (Ramp). The actual bus was 71 which is normally allocated to board 231. I also saw 4, 39, and what I think was 140 on the 43A/B yesterday too, so basically, it has some SPDs from the 61/62, (board nos. 230ish), as said above I've seen at least one 54-plate SLF is allocated to it, though it does normally have 2/3, that's not to say the others aren't assigned, I just haven't seen if they are or not yet. The 43A/B normally seem to have at least one 08 Enviro, and a few mainly N-reg SLFs.